It was a time of ghouls, ghosts and most ghastly of all, the fine art of grave robbing. Dominic Monaghan of Lord Of The Rings and Lost stars as 19th century corpse snatcher Arthur Blake, who pilfered the cemeteries and coffins of England until his capture by police. But just before Blake is to meet the hangman s noose, he will confess to a peculiar priest (Ron Perlman) his gruesome tale of vampires, zombies and cadaver dealing that takes him from the savagery of the criminal underworld to the terrors of the undead. Producer Larry Fessenden and Angus Scrimm co-star in this deliriously grisly and hilarious homage to foggy graveyards, bloody mayhem and the golden age gothic horror. $3.529 thousand on 1 screen. An homage to the British Hammer horror flicks, 2009’s I Sell the Dead takes us to 19th century England. In prison and in line for execution due to grave robbing and murder, Arthur Blake (Dominic Monaghan) discusses his past with a priest named Father Francis Duffy (Ron Perlman). But Duffy seeks no standard confession of Blake’s sins. Instead, we learn that Duffy paid for this time with the grave robber, and we get into Blake’s history. As a kid (Daniel Manche), his mom forced him into work with older thief Willie Grimes (Larry Fessenden). They continue to steal corpses into Blake’s adulthood, and they find themselves forced into essential slavery by wicked Dr. Quint (Angus Scrim). Along the way, they encounter something unusual. One dead woman come laden with garlic around her neck and a stake in her heart. Neither Willie nor Arthur understands the reason for this – until they remove the stake and discover her status as a vampire. Rather than get totally freaked out by this, they start up a new trade in supernatural corpses. This pays much better and allows for revenge against Dr. Quint. It also sends them on a lot of crazy assignments and pits them against rival body snatchers called the House of Murphy. I wish I’d gone into Sell without awareness of the story’s horror elements. Without foreknowledge, the discovery of the vampire offers an excellent twist. Prior to that, it comes across like something in the Dickens vein, so the encounter with the undead woman comes out of nowhere – if you don’t know that the movie will include such kinds of characters. Though Sell lacks that initial surprise, it compensates with basic creepy fun. No, the vampire encounter doesn’t come out of nowhere; when we see the stake and the garlic, we know what we’ll get. 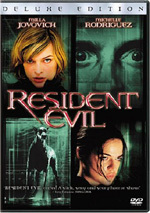 The movie turns what should be a standard horror sequence into something fun and exciting. And that sense continues through the rest of the flick. Sell doesn’t offer the most consistent film, as it quickly becomes fairly episodic; we see a few different thefts as we go. The third act offers the longest caper, but beyond the rivalry between our “heroes” and the Murphys – and connected implications – there’s not any real plot at work here. Which is generally fine with me. The episodic nature of Sell means it occasionally drags, and it sometimes feels too short. A few of the sequences come and go awfully quickly; it feels like there’s a more complex, involved tale that wants to come out here. Or maybe not – while the film’s brevity occasionally frustrates, it probably is for the best, as a strange horror flick like this doesn’t want to overstay its welcome. Sell manages to keep us interested and entertained for most of its 85 minutes. The movie doesn’t always seem especially coherent, but it boasts a good enough “fun factor” to compensate for some messiness. I appreciate the fact that Sell largely avoids modern filmmaking techniques. This doesn’t mean it comes across like a completely self-conscious replication of earlier films, though. Instead, it simply leaves out quick cutting and various methods typical today, a choice that gives it a more elegant feel – well, as elegant as a somewhat comedic horror movie about grave robbing can be, I suppose. While not a slavish reworking of older flicks, it comes across as an homage that still feels acceptably current; it just doesn’t indulge in styles that will make it dated in a few years. I Sell the Dead never turns into a rip-roaring comedy or a genuinely scary horror tale, and I regard that as a good thing. I like that it indulges in both genres but doesn’t overwhelm us with either. That makes it a nice hybrid movie that satisfies as an entertaining piece of morbid fun. I Sell the Dead appears in an aspect ratio of approximately 2.35:1; the image has been enhanced for 16X9 televisions. While not bad, the transfer usually looked pretty average. Sharpness was up and down, as the movie exhibited inconsistent levels of clarity. Overall, close-ups boasted good definition but wider shots suffered from mild to moderate softness. Some light edge enhancement didn’t help, and artifacts made the image a bit messy at times. Mild instances of jagged edges gave the movie a ropey look on occasion, but shimmering wasn’t an issue, and source flaws remained absent. Colors weren’t much of a concern in this fairly monochromatic affair. Given the nature of the story, I didn’t expect dynamic hues, and the film tended toward a subdued sepia look much of the time. What colors we found seemed decent but unexceptional. Blacks tended to appear somewhat loose and inky, though, and shadows were often too dark. That was an issue given the fact that so much of the film took place in low-light settings. All in all, there was enough positive material on display for a “C”, but it wasn’t an inspiring presentation. Though not especially ambitious, the Dolby Digital 5.1 soundtrack of Sell seemed more satisfactory. Like many horror movies, it mostly went with creepy atmosphere. A few action/scare sequences brought the track to life in a more active manner, but these were infrequent. Instead, the mix usually focused on general environment, and that side of things worked well. The audio used the speakers in a natural manner that created a good soundscape. Music also featured nice stereo imaging, and the surrounds contributed to the ambience. The back channels didn’t have a lot to do, but that added to the film’s aura. The whole package connected together in a reasonably involving manner. Despite the film’s low profile, the DVD includes a nice roster of extras. We start with two separate commentaries. The first features director Glenn McQuaid, as he gives us a running, screen-specific look at the project’s origins and development, story/script/editing subjects, cast, characters and performances, sets and locations, music and effects, problems with low-budget work, influences, inspirations and a few other areas. From start to finish, McQuaid digs into his film with gusto. He covers a wide range of topics and does so in a frank manner that largely dispenses with blather. McQuaid seems to relish the chance to discuss his movie, and he makes this a lively, enjoyable piece. For the second commentary, we hear from actors Dominic Monaghan and Larry Fessenden. Both sit together for this running, screen-specific discussion of cast, characters and performances, sets and locations, and various production minutiae. After such a strong track from McQuaid, regression becomes nearly inevitable. Monaghan and Fessenden offer a chatty, enjoyable piece, but it lacks the same level of depth found in McQuaid’s chat. Fessenden’s other hat as producer means that we get a smattering of observations from that point of view, but I don’t think we learn a lot here that doesn’t already appear in McQuaid’s commentary. This is an engaging piece but not one with tons of new info. 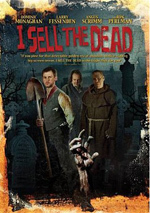 Next comes a documentary called The Making of I Sell the Dead. It runs one hour, four minutes, 10 seconds and features remarks from McQuaid, Monaghan, Fessenden, first ADs Jeremiah Kipp and Zeke Dunn, line producer Brent Kunkel, director of photography Richard Lopez, special makeup effects Brian Spears, video playback Michael Vincent, bar manager Brendan O’Shea, costume designer David Tabbert, producer Peter Phok, and actors Alisdair Stewart, Brenda Cooney, James Godwin, Angus Scrimm, Ron Perlman, Heather Robb, Eileen Colgan and Daniel Manche. Despite that long list of participants, we don’t actually get a ton of notes here. The majority of the program concentrates on footage from the set; the soundbites pop up somewhat infrequently, so they flesh out the material but aren’t a primary attraction. And that’s fine, as I enjoy the “fly on the wall” perspective found here. Granted, additional details would make this a more complete “making of” show, but it remains informative and engaging nonetheless. Visual Effects Behind the Scenes goes for 13 minutes, four seconds and provides material from Phok, McQuaid, visual effects supervisor Matthew Connolly, director of visual effects Andy Miklis, director of CG animation Lawrence Nimrichter, CG artists Nick Martinelli and David Dam, visual effects artist John Laughlin and flame artist Jeff Ferguson. To the surprise of no one, this show looks at many of the flick’s visual effects. It’s a tight little examination of those topics with lots of good demonstration material along the way. A few ads open the disc. We get clips for Dead Snow, Pontypool, Five Minutes of Heaven, In the Loop and The Escapist. The platter also provides the trailer for Sell. Finally, the package boasts a Bonus Comic Book. Written by McQuaid and illustrated by Brahm Revel, this work presentts the film’s story in a pretty literal manner; it includes a couple of small changes, but the two are very similar. (We learn in the DVD’s supplements that it predates the movie and was used as a visual guide for the film.) It’s a cool addition to the set. It seems like most horror films these days either go with hyperactive “scares” or banal boredom in the name of “subtlety” ala Paranormal Activity. I Sell the Dead reminds us that a middle ground exists. It’s a genre flick that doesn’t assault the senses with rapid cuts and visual gimmicks but also still finds the time to give us excitement and intrigue. The DVD provides mediocre visuals, good audio and a nice collection of supplements. Horror fans should give this one a look.